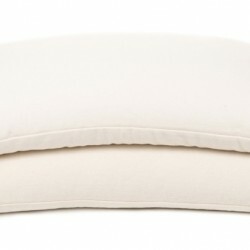 ComfyComfy Canada is a small, family business located in Toronto, which is dedicated to creating quality pillows that will last for many years. They are filled with organically-grown Canadian buckwheat or flaxseed which have been thoroughly cleaned. The casings are meticulously sewn by a Mennonite family in rural New York, USA who also produces casings for ComfyComfy in the USA. Then, they are carefully filled and packaged, ready for your enjoyment!